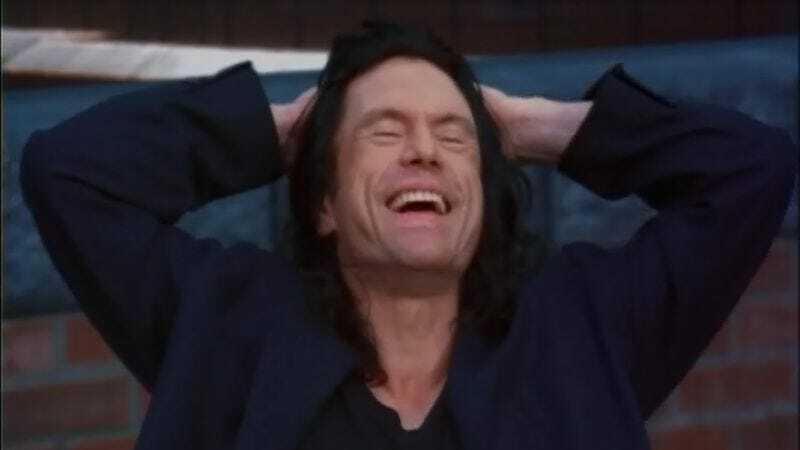 Tommy Wiseau, the enigmatic writer-director-star-producer-imagineer of cult movie The Room, has always been strangely protective of his nationality, spinning mysteries about his Cajun origins while sounding Eastern European. Even Greg Sestero, in his tell-most book The Disaster Artist, never quite pins down where Tommy comes from, though he does reveal that Wiseau is not his original last name (and that it may have been inspired by the French word for "bird"). In a Reddit post from yesterday, a user name ohbaimark—a Room fan, clearly—puts together some pieces that point to Poland as Wiseau's point of origin (and not, as you might have speculated from the movie, outer space). Here's the full post, including research into the obituaries of Wiseau's uncle and aunt—last name: Wieczor. We should point out that Poland has been a strong contender for those who care about these things: A.V. Club contributor Steve Heisler even mentioned on an episode How Did This Get Made? that someone anonymously told him the truth years ago. Still, this may be one of the smaller mysteries of Tommy Wiseau—maybe someday the man himself can write an unedited tell-all about his own life. It'll be 9,000 pages long, and 94% inscrutable.